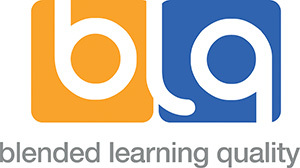 The EFQBL is has been founded as a disemination tool for the project Blended Learning Quality-Concepts Optimized for Adult Education (a Multilateral Grundtvig Project with the EU project number 539717-LLP-1-2013-1-IT-GRUNDTVIG-GMP). The project addresses to all quality issues connected with Blended Learning. Contrary to the widely approved eLearning, which is scientifically documented and indicated certain standards of quality, Blended Learning describes itself and is subject to a quantity of case studies. The aim of the project was to define and set quality standards as well as tools to evaluate the quality of Blended Learning . Further, it was aim to develop tools to measure, proof and subsequently to ensure the quality of bLearning courses. Develop and define precise methods to ensure high quality in planning, developing and implementing, executing and evaluating Blended Learning courses. The validation methods will be an additional feature. The focus of quality is set on teachers’ activities as well as on the trainees’ needs. Tools and guidelines are going to be developed, tested and published.